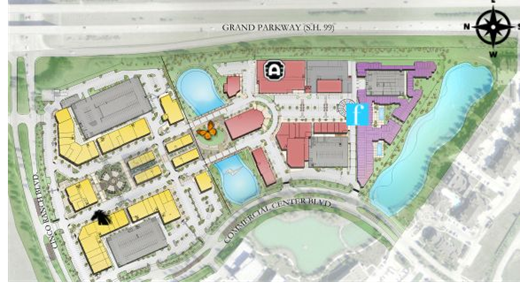 ​​​​​​ KATY – PGIM Real Estate has purchased LaCenterra at Cinco Ranch, a 34-acre, 412,900-sf outdoor mixed-use retail lifestyle center. LaCenterra is within the 8,100-acre Cinco Ranch master-planned community developed by California-based Newland Communities. LaCenterra includes 273,522 sf of retail and 139,378 sf of office space, and the completed retail and office portions are 93 percent and 89 percent leased, respectively. It also will include an additional 7,500 sf of retail space and a six-story parking garage and is expected to be completed in 2018. The deal does not include The Grand at LaCenterra, a luxury midrise apartment complex that opened in 2015. Check out more Houston Office, Retail, and Multifamily ​Market Research.